Located on highway 31 just west of 131 in Petoskey with lake michigan across the street. 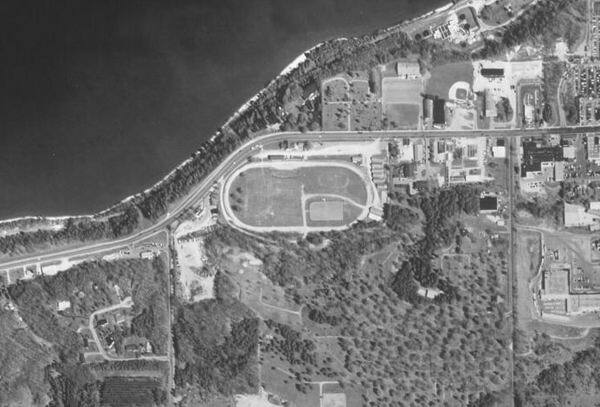 The track is gone but the fairgrounds still there with some new buildings. We raced snowmobiles thre in the 70s with the stands packed and the lake effect snow falling.